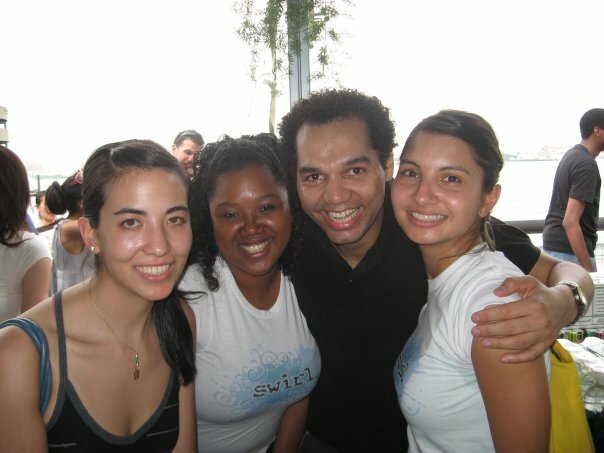 Launched in 2000, SwirlNYC is the first Swirl chapter for people interested in thinking about ethnicity and identity in open-minded ways. We started by recognizing that, in one of the most diverse cities in the world, race continues to divide us — both through two-dimensional public conversations on race and systemic barriers to opportunities for communities of color. We started with informal dinners, and have since grown into a membership of several hundred people interested in supporting one another through community, and further by engaging in action that changes the way we talk about and experience race. Our membership includes young adults, parents, children, and interracial couples of multi-racial, trans-racial, and interracial identities who share experiences, support one another, and learn together. Once a month we host a social event to nurture community building (dine outs, happy hours and play groups) and once a quarter we host educational forums to support healthy public conversations on race within and outside of the Swirl community. For examples of past events, check out our calendar or look at our event photos! In Fall 2008 we will launch a monthly learning circle for members interested in applying their desire to challenge notions of race to the next level. And always feel free to send any questions or feedback to Swirl National at info@swirlinc.org!